In all, the WCO’s recommendation includes 204 amendments in 53 different HS chapters, affecting 108 different headings and 39 legal notes. These changes are intended to update the nomenclature or clarify the classification of particular goods. More detailed information about these changes refer to the United States International Trade Commission’s Final Report to the President dated June 2010. 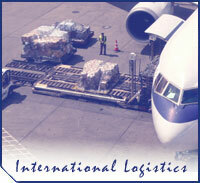 Get ready now and avoid disruptions to your export shipments. For additional information or questions about HS 2012 contact the Trade Information Center at 800-872-8723 or TIC@Trade.gov.